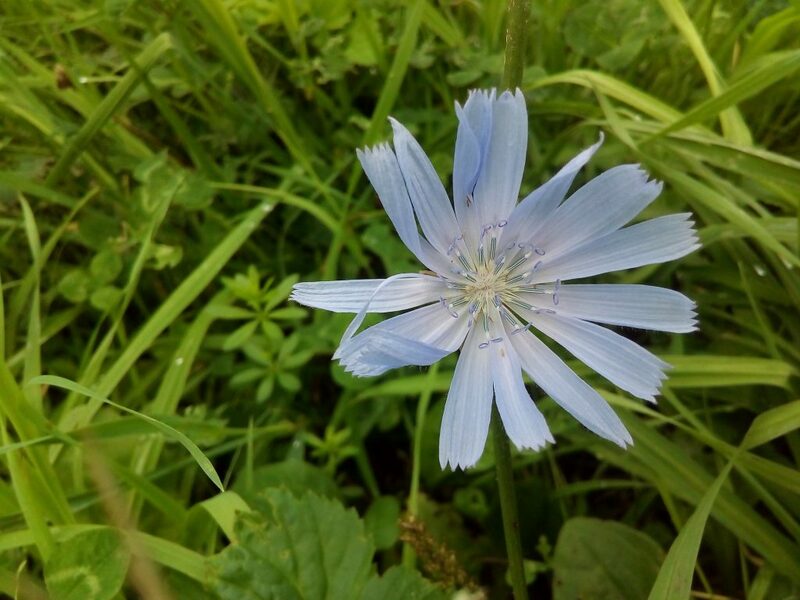 Kasani (Cichorium intybus) is a herb that has traditionally been used as a general liver tonic in Ayurvedic medicine. The ability of kasani to protect the liver is well documented. For example in animals studies, extracts of kasani are able to prevent rats from thioacetamide induced hepatotoxicity. In this regard kasani was not as effective as silybum marianum, another liver protective herb, but both extracts were significantly able to inhibit liver cell damage. Extracts of kasani have also been shown to be protective of carbon tetrachloride induced toxicity in rats. The extracts were able to reduce levels of malonaldehyde in the liver, suggesting that the extracts can prevent free radical damage. This supports other evidence that kasani extract possess significant antioxidant effects due to the large number of antioxidant phytochemicals present in extracts. 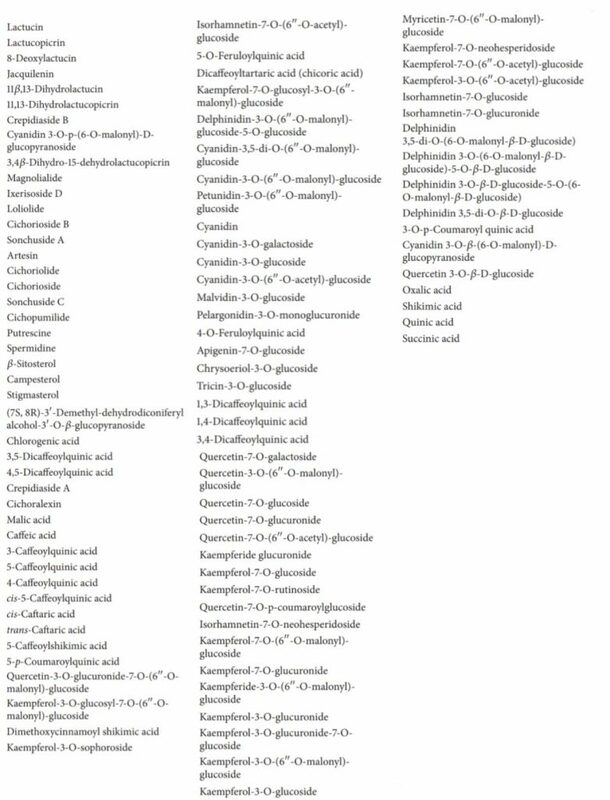 Over 100 compounds, many of which are antioxidants, have been isolated from kisani. Most of these are present in the roots in high concentrations, making the root medicinally active. Studies show that kasani extracts can improve insulin sensitivity and that this might be separate from its hepatoprotective effects. This ability to separately improve the liver function and improve peripheral insulin sensitivity may explain its significant effect on a number of health conditions and its use as a general health tonic. This relates to the large number of conditions that develop as a result of both liver damage and peripheral insulin resistance. 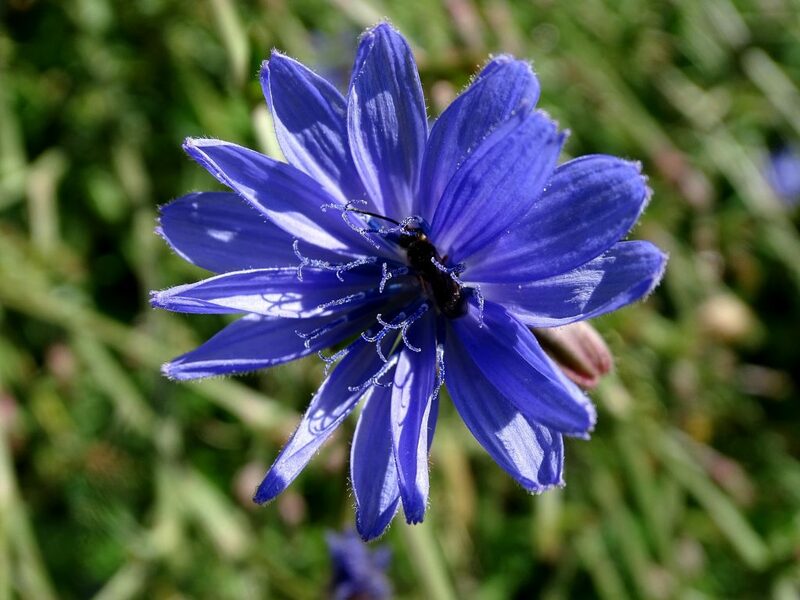 One possibility is that the presence of inulin in the plant is a contributor to its blood glucose lowering effects. Kasani may have other activity relating to its antioxidant and liver protective effects. For example, kasani extracts have been shown to have blood glucose lowering effects and this may make them a useful supplement for diabetics. One study has shown that leaf extracts of kasani were able to improve the insulin signal pathway and improve insulin sensitivity in diabetic rats. It was concluded that this was due to the presence of a caffeoyl derived phytochemical in the extract, and this suggested that the effect may be due to an antioxidant effect. In another study, a significant reduction in blood glucose was observed when extracts of kasani were administered to rats. In addition, the kasani produced significant triglyceride and cholesterol lowering effects. However, no increase in insulin secretion was observed, indicating that the blood glucose effect was likely from improvements in insulin sensitivity. Kasani is used as a traditional treatment for diabetes in Ayurvedic medicine, and these studies support its use in this role. Evidence suggests that kasani can increase the expression and activity of certain cytochrome P450 enzymes in the livers of pigs. This may explain some of the hepatoprotective effects of kasani, because cytochrome P450 are important phase 1 metabolising enzymes in the livers of all mammals. The roots, flowers, stems, leaves and seeds of kasani show health effects in humans and animals. These include antiviral, antioxidant, anti-inflammatory, diuretic, anti-dabetic and hepatoprotective effects. Over 100 individual chemical have been isolated from kasani. Most of these potentially medicinally active compounds have been isolated from the root.